“Unity is strength” is the concept behind the success of Marketplaces. We have all bought something from an online marketplace at some point in our lives: Ebay is a prime example of marketplace, but also Amazon hosts several shops. This service has the potential of being generic or specific. Ebay based its success on trading used products and Etsy did the same with hand made and do-it-yourself products. But why are online marketplaces such powerful tools? Why do so many vendors decide to use them to sell their products? The main reason is that a trading platform is convenient for all the parts involved. They get a wider choice of products and shops condensed in the same place, which saves them a lot of browsing time. They can perform one single purchase for all the want rather then having to make several payments. They receive a solid income from the shopkeepers fees and subscriptions. I'm going to use this tutorial to show you how to handle this second kind of Marketplace, in order for you to be able to create your own and start gaining thanks to other people's shops right away. So, how can you create a marketplace in which vendors pay for a subscription fee to use? All it takes is two plugins and ten minutes of your time. Before configuring the two plugins, we need to prevent unregistered customers from buying the required Fee. The user registers and buys the Fee. The user acquires seller access. 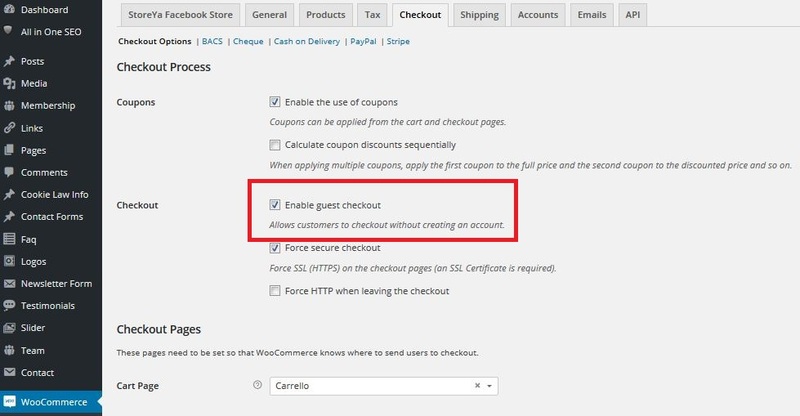 Now need to disable the Enable Guest Checkout option in WooCommerce > Settings > Checkout. Now we can configure the Multi Vendor plugin. Once the plugin is installed, the “Become a Vendor” page becomes available, its access is reserved to registered users only, to change their user status from Customer to Vendor. Go to YIT Plugins -> Multi Vendor -> Frontpage and set your newly create page at step one in “Become a vendor” page. 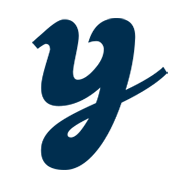 Now you should disable vendor registrations in the My Account tab, YIT Plugins -> Multi Vendor -> Frontpage by unchecking the Enable Vendors registration in "My Account" page box. 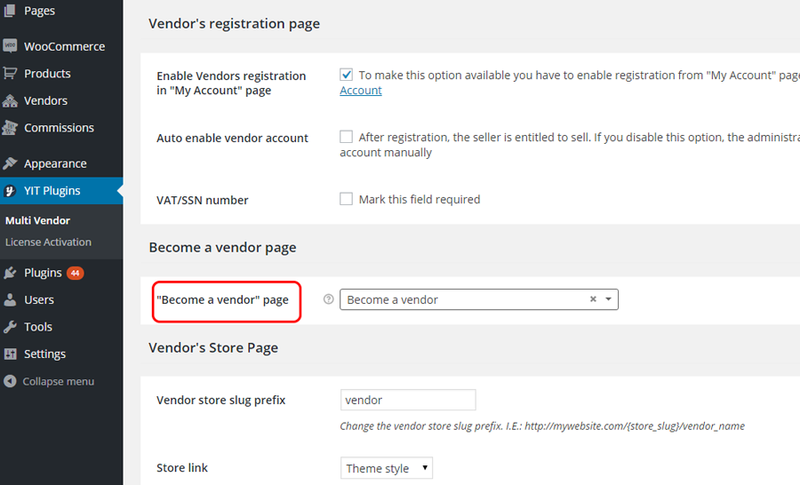 Doing this will only allow registrations from the Become a Vendor page. Now all you need to do is to allow for only Fee buyers to access this page and to do this we are going to use the “Membership” plugin. The first thing you should to is to create the product customers need to buy to receive their Membership (meaning the opportunity to register on your store as Marketplace vendors, since the membership is going to contain the vendors registration page). 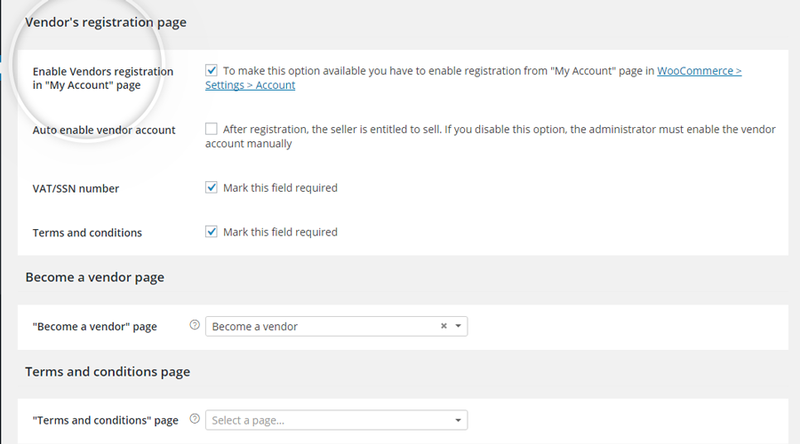 In the Items in Plan -> Include Pages select the “Become a Vendor” page you previously created. 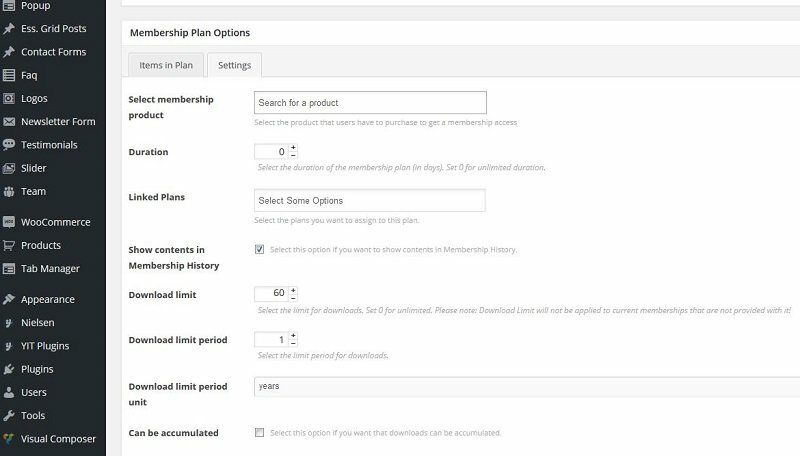 In the Settings -> Select membership product tab select the Membership item you have previously created and click on Publish. 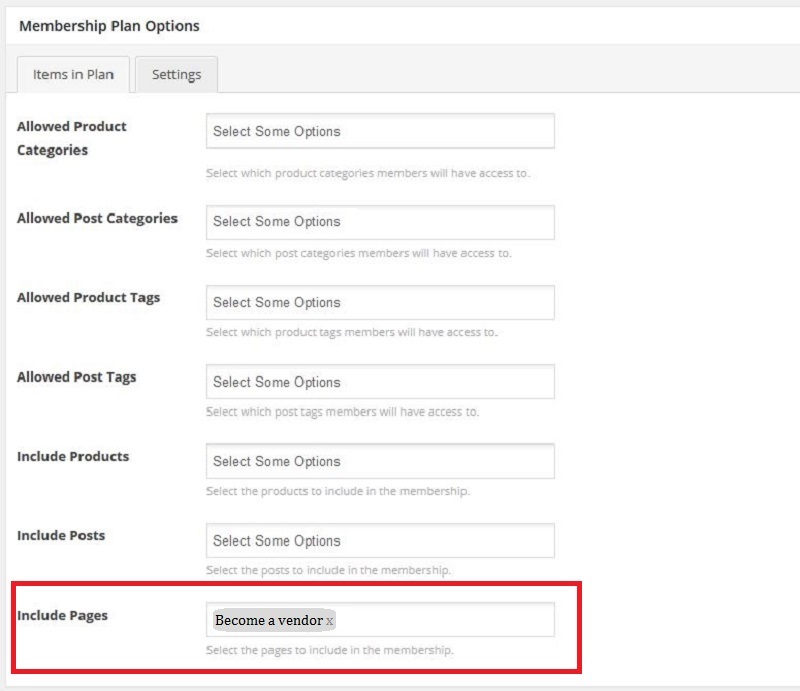 This way only users who buy the membership plan will be able to see the Become a Vendor page and only they will be able to register as Vendors. And you are set! In just a few steps you have created your own WooCommerce Marketplace in which vendors need to pay a fee to sell their own products. Now you can start earning money on other vendors who sell on your own Marketplace.